We provide full spectrum forensic services, from CCTV & audio enhancement, to speed correction / time lapse assessment, format conversation, transcription, and de-multiplexing. To assist in clarity or understanding, subtitles can be added to video footage or tags added to help follow the movements of key individuals amongst a crowd. For covert surveillance recordings for CCTV & audio enhancement or to protect the identity of witnesses, we can pixelate or mask faces/objects, and provide court experienced cctv expert witness. Concerned about manipulation or tampering? Have a recording but need to test the authenticity? 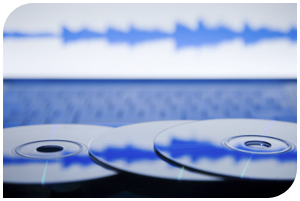 Where evidence is questioned or there is a suspicion of modification, we can conduct detailed assessments upon both the product media and the original recording device in order to link the two products and provide expert commentary in terms of the provenance and integrity of the recordings. Only through such studies can it be possible to detect or disprove subtle or sophisticated modifications that would otherwise be missed by the human ear or eye. The work done to CCTV & audio enhancement or for presentation purposes will be thoroughly documented in an expert report, allowing the material to be properly exhibited and relied upon in evidence by a CCTV enhancement forensic scientist and expert witness.